For a trouble-free moving experience, our Oakley movers are here for you! Between our crews of professionally trained student-athlete movers, Princess Packers, and moving concierge, Meathead Movers can have you settled into your new home in no time. Welcome to Meathead Movers of Oakley! If you are moving to or from the Bay Area, our Oakley movers are here for you! Meathead Movers serves the Western US with professionally trained student-athlete movers and a dedicated moving concierge service that aims to exceed your expectations. Incorporated in 1999, Oakley is a relatively young city; however, despite its age, it is very developed and a great place to call home. With abundant housing, great schools, and friendly neighbors, it truly is a great place for families. Nature lovers will admire the beautiful delta, serene rolling hills and vineyards, and abundant parks. The city also boasts great shopping and a beautiful downtown area. 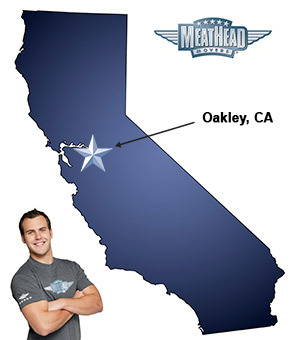 If you are considering a move to Oakley, Meathead Movers is here to help. Our moving company specializes in local, long-distance, and commercial moves to or from Oakley. In addition to our local Oakley movers, we offer reliable packing, storage, on-site relocation services. All Oakley movers are thoroughly screened and trained before their first move. With branches not just in Oakley, but all throughout California, we are your one-stop resource for all your moving needs. In fact, you can see what your neighbors in Oakley have to say about us. With our 100% satisfaction guarantee, the only thing you have to lose is the stress that comes from moving! Contact Meathead Movers today for a free moving quote and learn how we can help you on your next move! Moving to Oakley? Here are some helpful resources.